On Wednesday, January 30, 2019, SecondMuse continued its newest series of hardware startup support. This session, part of the M-Corps workshops series, focused on Supply Chain Strategy at New Lab in Brooklyn Navy Yard. NYCEDC’s Stacey Weismiller and Inventaprint’s Rich Mokuolu lead attendees through an essential, and entertaining, presentation on sourcing and production. Throughout this series, we’ll share key takeaways so that you can learn from local experts. Below is a summary of what we learned from Stacey and Rich as well as the slideshow straight from the workshop. 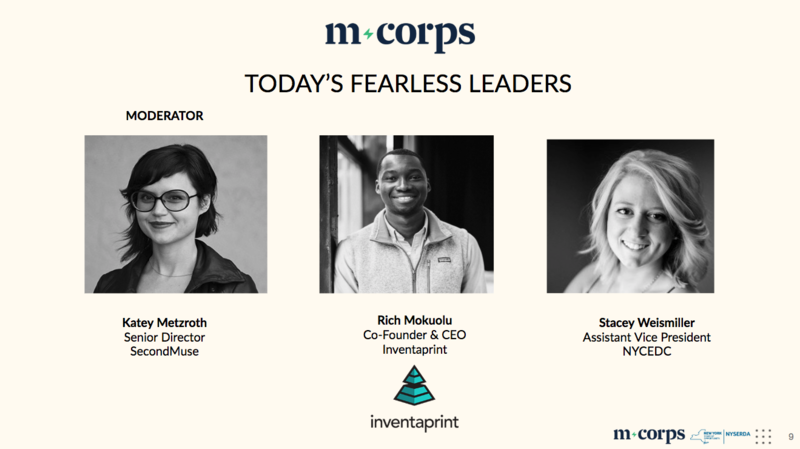 M-Corps, funded by NYSERDA and sponsored by Dragon Innovation, launched in September 2018 to help cleantech startups get to market faster through easing the pain of manufacturing. We’re currently supporting a cohort of 11 companies that range from kits to make commercial grade vehicles electric to consumer solar products, smart ice-melt control systems to naturally occurring soil remediation products. This series is based on actual needs from startups in 2M programs and seek to contribute knowledge to the greater manufacturing hardware ecosystem. Assumption: Finding a manufacturer who wants to work with me should be as easy as typing words into Google. Reality: Shoot; it’s not! Assumption: Since it’s not in Google, no one must be finding great manufacturers. Reality: People are, but just not on Google. Talk to them, and you’ll find great manufacturers. If Google isn’t the place to go, where will I find the right manufacturing partners? We’ve seen and heard how word of mouth still seems to be the standard in this industry. Consult your network. 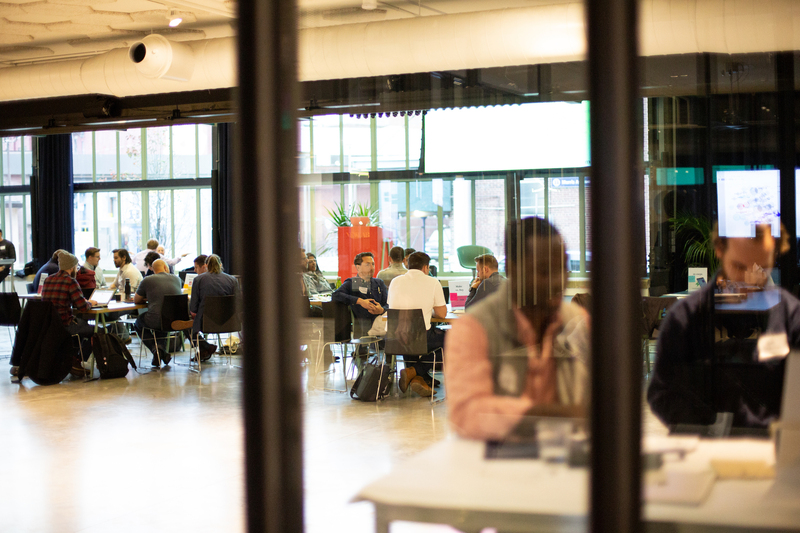 Talk to peers in the Futureworks Incubator for hardware startups, companies working out of Futureworks Shops, startups in the M-Corps program, founders based out of New Lab. Rich, Stacey or any of the other M-Corps mentors. That’s easily 100+ people who know manufacturers directly or are one-degree removed from someone who does. There is a lot of attention being paid to manufacturing in the US, in NY and in NYC. Who are some of the groups working to make sure domestic manufacturers are continuing to grow and evolve? Check out the Urban Manufacturing Alliance leadership and members, every state has a Manufacturing Extension Partnership (in fact, NY has 12) like ITAC, NextCorps and FuzeHub, and engineering departments at NYU, Columbia, Pratt, Rochester Institute of Technology. That’s another 100+ people and organizations who can help. Wait, I Need to Talk to People to Find a Great Manufacturer? Great manufacturers are actually hiding from you. They’ve been burned by startups asking the wrong questions, trying to get discounts; they’re overloaded with inquiry emails and don’t want to be sweet-talked by startups they don’t know. Great manufacturers don’t want to be spammed by beginners who aren’t prepared to actually manufacturer. You need to be vouched for by a few of the people you talk to for a manufacturer to want to spend time with you. The good news – great, really – is that when you do get to chat with a manufacturer, you won’t be wasting their time, you’ll know what to talk about and they’ll want to meet with you again. Also, with all the 100+ founders in NYC going through this type of process and coming out the other end with products being made, the overall ecosystem is starting to open up and convos are moving faster. Of course, do your homework first – prep your story, vision, market opportunity. It’s your job to get manufacturers excited about your product, team and future. Buy pretty much everything that’s not the “crown jewel” of your product. If you’re making, say, a treadmill, buy the belt and the chassis and the plastic parts. Make the user interface beautiful and branded and make the software so that you can own it, customize it and evolve over time with your consumers. Commoditized components should always be bought. Remember that Making means high in-house Landed Costs, which is the combination of raw materials + labor + logistics. Make sure your manufacturer and partners have a track record of integrity – the last thing you want is to spend time and money on lawyer fees taking suppliers to court. To think about integrity, consider these questions (and talk to your peers about them): does the manufacturer have a reasonable lead time, back up suppliers, costs, good reviews, clear communication, on-time delivery, and do they make good products. Make sure the manufacturer is ISO certified; that’s a basic litmus test. Take a look at the products they’re making. Are they producing knock-off products or products that look an awfully lot like other brands? Not a good choice. Single-sourcing means less management, logistics, shipping questions and headache. You’re dealing with one manufacturer. But, if you put all your trust in one manufacturer and they, say, go out of business or get hit by a hurricane, you’re in real trouble. With single-sourced, you’ll also be potentially stuck with a manufacturer who isn’t changing with the times and is using outdated, inefficient and/or expensive processes. 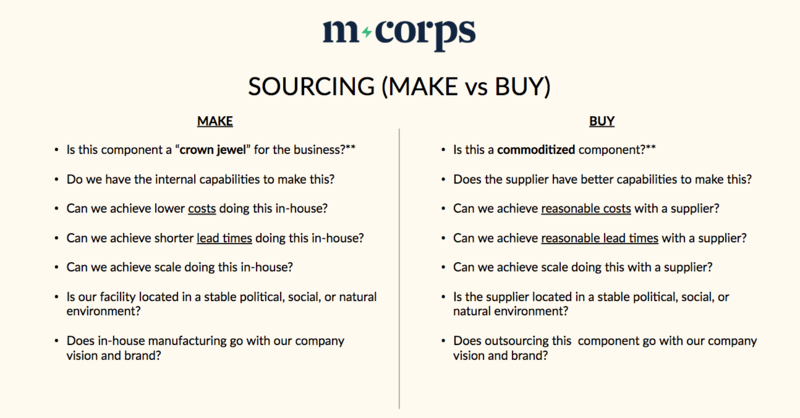 Another issue with single-sourcing is that a manufacturer knows that you need them. They might never tell you about design flaws in your product (that they correct as long as you’re their client) so if you move shops you might be in trouble. Dual-sourcing means diversifying your manufacturers which gives you a more flexible supply chain but increases logistics concerns. Also, if you’re moving from single-source to dual-source, Rich and Stacey recommend not cutting volume from the first shop. They may not like your business being shared with a competitor and treat you as a declining business interest, which is no bueno. Instead, when you increase your own clients’ orders, shift that increase to the second manufacturer to allow you to diversify while maintaining a good relationship with the first shop. Make sure you’re having product and process conversations with engineers at the manufacturer. Don’t let a sales person tell you what the shop can and can’t do; bring the engineers into the conversation. They’ll be generic, not accurate and chances are you’re talking to them over a wine or beer, which isn’t where the best engineering decisions are made. If you’re not the engineering expert on your team: bring your engineer to the meetings (with the manufacturers’ engineers). Confirm which components are required (no change in design) and which are flexible (i.e. can be replaced by manufacturer by sourcing others). As M-Corps Mentor, Tara Stand, said in the first workshop, be attached to solving a problem, not the solution. Manufacturers like to know what you don’t know or need help with. Coming with all the answers isn’t going to necessarily produce the best product. Excel is great for finance, but not for BOM (bill of materials), inventory and eventually cashflow management. Start exploring and pricing out product-management software that’s made for hardware and manufacturing startups. (On April 5, we’ll be hosting a webinar on this topic with Startup OPX’s Tyler Long.) You need to track component pricing, change in pricing, number of parts, sources, shipping, lead time, version changes and constantly adapt to any changes in any part of your supply chain. Excel is an island. You need something much more connected. Some of these systems are pricey so you’ll need to know when is the right time for you to engage them. Use one source of truth for your whole team. One product requirement doc should be your bible that the whole team reads and updates. Meaning, design your packaging, measure your packaging needs and price your packaging and shipping routes beforehand. While at GE, Stacey’s assumed they could get multiple units into one shipping container but in the end they couldn’t. Shipping one massive converter per shipping container ate their entire margin. You’re responsible for shipping, pricing out shipping, understanding tariffs, customs, logistics and all the rest. Your contract manufacturer wishes you the best, but they’re not responsible for that unless you’re paying them to be. Even then, if you don’t know the details, you could find yourself in trouble. Create your warranty plan, returns, exchanges, customer service plans in advance. Price them out before you finalize pricing for product. You will need to deal with customers after they’ve purchased your product. You will need to deal with customer service. Even better for customers, startups these days have already signalled to the market that returns are easy and usually come with free shipping. Take this into account before assuming that money in the bank stays in the bank. Cheapest isn’t always best. You know the saying you get what you pay for? Well, it’s true! Make sure when choosing a partner, you look at more than just cost. Consider ways of working together, how involved they want to be and you want them to be, etc. We’ve all heard the story of manufacturers becoming an early investor in you. Just remember when crossing production partner with investor that money they’re giving you is pretty much earmarked for spending at their shop. Because, who would give you money to spend at a competitor? Just be mindful of that. Found this post useful? Come to our upcoming workshops! On Day 3 of onboarding, at Pratt Institute’s BF+DA, we dug into the manufacturing tools available to help startups level up from prototype to production. These included a Manufacturing Readiness Level (MRL) assessment and SecondMuse’s Production Scale Up Roadmap (PSR).